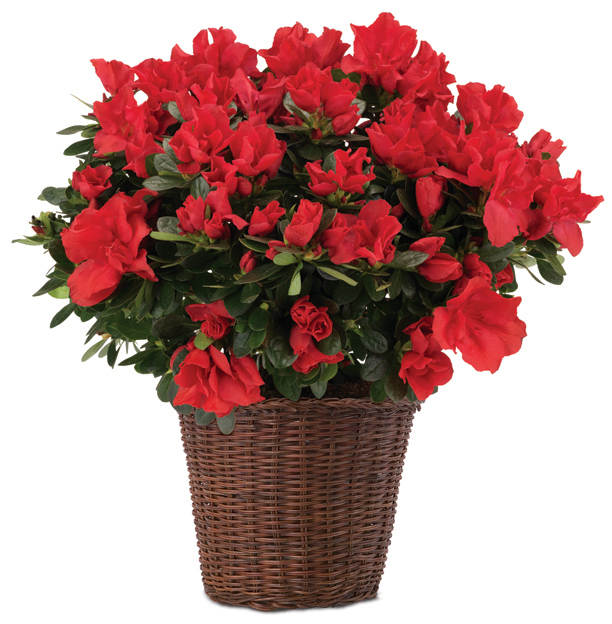 A radiant plant showing off a bevy of bright red blossoms is the ideal gift to send to celebrate the holidays or any winter occasion. The Prize azalea is a favorite variety for us — the spirited plant arriving with dozens of buds ready to pop into pretty red petals. 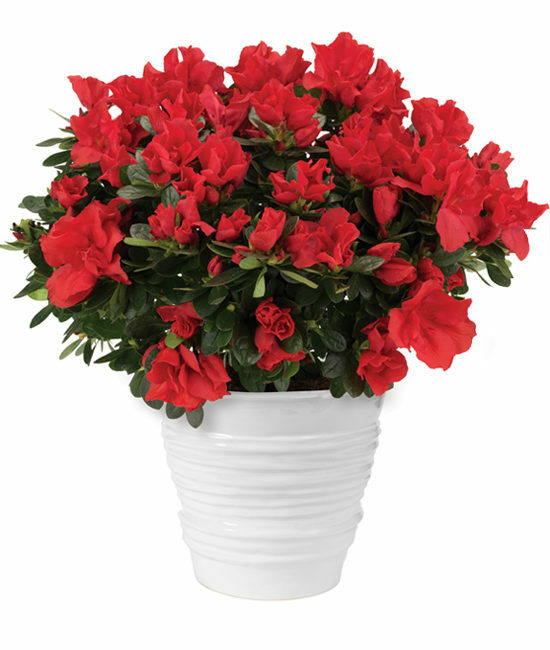 The long-lasting azalea looks holiday perfect in our white ridged ceramic cachepot.